Providing you the best range of carbon steel machine taps, carbon steel hand taps, ground thread small nut taps and shell tap with effective & timely delivery. H.S.S (High speed steel) Carbon Steel Machine Taps are sturdy and thread materials; these taps have interrupted threads and are twisting pointer which performance with high speed in application. They are widely used in industrial sectors. These are offered in various specifications and customized with clients’ choice. These machine taps are provided accordance with international standards of quality. Moreover, these are available at the most competitive prices. All these taps are based on latest technology and trouble free service life. Machine Taps: Recommended for working on tough & String materials, the tap have interrupted threads & are spiral pointed. Our organization is offering a wide range of Carbon Steel Hand Taps to our respected clients. These are made using top quality materials that are procured from reliable vendors in the company. Our ranges of products are well known for its attributes like excellent finish, accurate dimension and less maintenance. 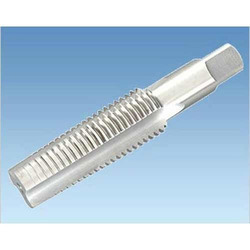 These taps are used for cutting internal threads in predetermined holes. These are available at affordable prices. We manufacture and export a wide range of H.S.S (High speed steel) Carbon Steel Hand Taps which is appreciated for features like excellent finish, accurate dimension and less maintenance. 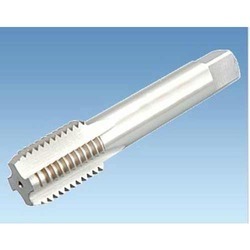 These taps are used for cutting internal threads in predetermined holes. We provide them with fine quality material which is used in various industries. They also have the salient features like specific dimensions, High tensile strength and Corrosion resistant. These are available in various specifications based on the requirement of the client. Available in serial and non-serial sets of any prescribed specification. Coarse pitch taps in set of 3 pieces. Fine pitch taps in set of 2 pcs. 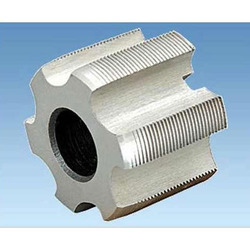 We offer Hollow Structural Steel Ground Thread Small Nut Taps extensively used in various applications such as engineering, mechanical and automobile industries. We made these products using optimum quality raw material by implementing advanced machinery and latest technology and mechanisms. These products are well recognized in the market owing to their properties such as longer functional life, durability, excellent performance, precise dimension and fine finishing. Clients can avail from us these products at reasonable price. 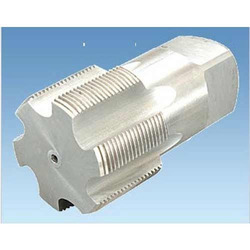 Small Nut Taps: 1/8" to 6"
We offer shell tap which are made from high grade material and advanced technology. These are Available in various specifications, these can also be custom made as per the detailed description given by the customer. These are appreciated for feature like strength, durability and easy installation. These are available at affordable prices.